Originally published in APPPA Grit Issue 26 (summer 2003) by Jeff Mattocks. Here we are again, the middle of the summer, cruising along with our Pastured Poultry. Just when things look great, while we’re not looking, our broiler weights decline and our layer production slides. Before you know it, this becomes a significant issue. Unfortunately there are very few options to alleviate the negative effects of hot humid weather on our poultry. We have known for a long time that poultry of all kinds eat for their energy needs, and not for proteins. When it gets hot, humans and other forms of life all tend to eat less or change diets to match the environment. Chickens are no different! What we see in our poultry is a reduced feed intake resulting in reduced production. The affects of heat stress on broilers are seen immediately in heart attacks (flipovers). Increase energy level of the feed. Use some Sodium Bicarbonate if shell quality is a problem. Use supplemental Vitamin C when heat stress occurs. Increase the number of feedings per day to try to feed at cooler times of the day. Keep drinking water as cool as possible. Use large particle mash feed if available. 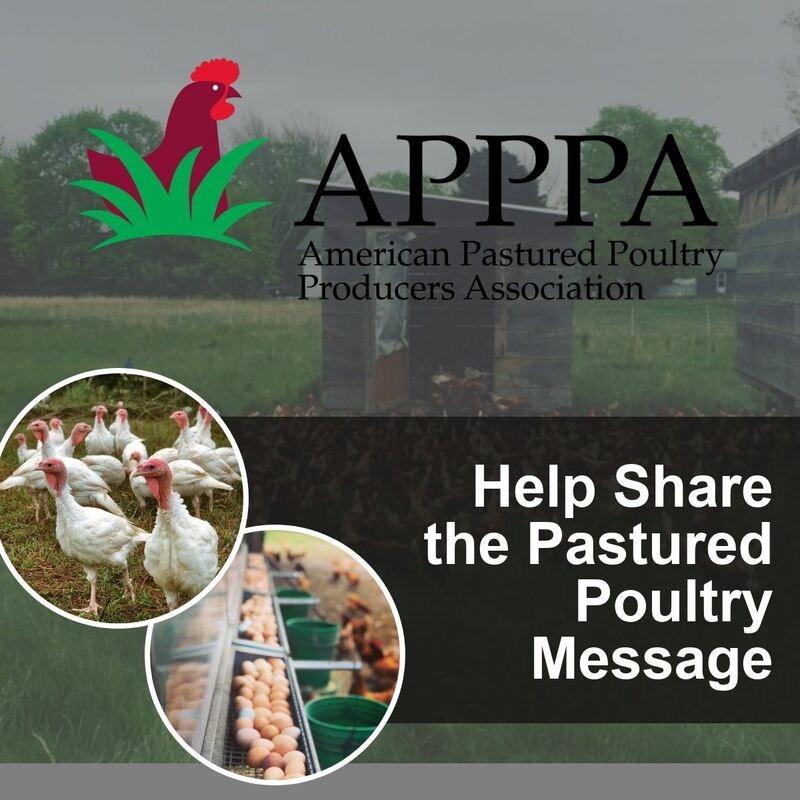 These recommendations are for large commercial flocks, and they do not all apply to Pastured Poultry Layers. My recommendation is to reduce the energy inputs (generally corn, vegetable oil, wheat or roasted soy.) You can replace any of these with alfalfa meal, oats, barley and other low energy inputs. For instance 200# of corn replaced by 200# of oats in a ton of feed will change the energy by 42,000 calories per pound of feed. This change will make a big difference to the chickens. A change of 100# Alfalfa meal for 100# Corn will yield the same 42,000 calories per pound of feed. You can see that making feed adjustments is not “Rocket Science” but I wouldn’t recommend making changes that you haven’t done before or consulting someone who can do the math for you. I started looking for the reason why my producers were seeing all of these problems. Each of these symptoms is normally caused by different deficiencies. This was more than I was familiar with so I called some experts and gathered some opinions. They all led me back to the same conclusion: HEAT! I had never given the temperature a consideration. I thought that with all those hens the houses should be warm enough even when the outside temperature was below freezing. I was wrong. While looking for the answers to these problems I found a piece of information that really caught my attention. One of our local egg producers started to supplement heat during the week of Christmas. 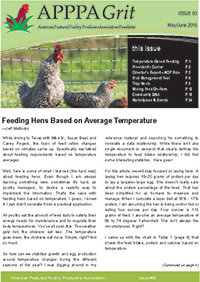 When the heat was added the feed consumption dropped 7 lbs per 100 hens per day. Hens typically eat between 22 and 24 lbs per 100 hens per day. Before the heat was supplied the hens were eating 30 lbs per 100 per day. It may not sound like much but when you multiply this for 5000 chickens now you have 350 lbs of feed a day. This adds up to 2450 lbs per week and 5 tons of feed per month. Now at an average of $280 per ton times 5 is a savings of $1400 per month. I can buy a lot of propane for $1400 a month plus the chicken house will be a much nicer place to work vs. being outside. Along with all this the hens will be happier with supplemental heat than by eating extra feed to stay warm. The other benefit to you is less manure, less ammonia smell and dryer litter. I have recommended to all of my local customers to find a way to supplement heat. The heat should be stabilized between 55-65 degrees. If you can stabilize the temperature in this range feed consumption, egg production and egg size will stay normal. I took my largest local customer for a ride to another chicken house that was doing better. When we arrived at the other chicken house the ONLY difference between his house and the visited house was the temperatures. His home house was below 32o at night and 45o during the day. The visited house was not lower than 55 degrees F at night and up to 68 degrees F during the day. Feed consumption was lower, and egg size was normal (80% large and extra large, 10% Jumbos, and 10% mediums).